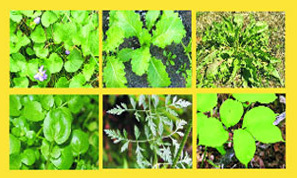 Millcreek Herbs LLC - Herb Articles - Healthcare: Spring Tonics - Dedicated to the understanding, wise use and enjoyment of herbs. Merry's articles and herbs research will help you to learn more about medicinal herbs, culinary herbs and the wellness benefits of Complimentary Alternative Medicine (CAM). The young bud or branches boiled in ordinary broth, make the belly soluble and open; and boiled in white wine, provoke urine being stopped, and is good against the strangury, or difficulty of making water; it expelleth the gravel and stone out of the kidnies and helpeth pain in the reins: and boiled in white wine or vinegar it is prevalent for them that...are troubled with the hip gout or sciatica...The garden asparagus nourisheth more than the wild. Can you tell me what a "spring tonic" is? Winter seemed longer than usual this year, I feel sluggish, and I am still carrying the weight I put on over the holidays. I am looking for a little pick-me-up, physically and mentally. Would a "spring tonic" help? Think as though you were living 150 years ago and your winter diet consisted of cured and salted meats, dairy products, and canned and baked goods. The only vegetables available would have been saved in a root cellar for months-carrots, turnips, potatoes and maybe some cabbage. Fruits would have been dried and leathery. By the time the snow melted, people were starved for anything fresh, green and leafy and would pounce on the first little sprouts that showed. Now keep pretending you are living a century ago when everything was not paved, and go outside to a greenspace in early spring and see what's naturally coming up from the earth. You'll see at least some of the following little herbs: dandelions, cleavers, violets, stinging nettle, small mustards, wild asparagus and watercress in the stream. Pick a potful of these and simmer them up and you have a spring tonic. Why is it called a tonic? Tonics nourish and nudge the body to function at its best. After a winter on such a limited diet, anyone's body would need a little help clearing itself of excess salts, preservatives, calories and toxic buildup. These early sprouting herbs will do just that by offering healthy minerals and stimulating bitter flavors to cause the liver, kidneys and colon to cleanse and eliminate wastes. Today as then, energy levels improve with such superior nourishment so one might experience that pick-me-up you are seeking. Taken consistently for several weeks, the diuretic and detoxifying action does cause some people to lose a few pounds. Like most herbs, these spring tonic herbs do more than one thing in the body. Violet is high in vitamin C and good for innate immunity. Mustards are especially bitter; this flavor is important in the spring tonic because it causes the digestive tract to function properly. Bitters stimulate salivation, triggering stomach secretions that stimulate the liver which in turn causes peristalsis of the colon. Oregon grape, another local herb, would be a useful addition to the tonic. Spring tonics were often regarded as "blood purifiers" because they stimulated the body's filtering and eliminating mechanisms and also offered super nutritional value. Because of these actions, they also help to resolve skin conditions such as acne, eczema, itching and lesions, and they reduce rheumatic complaints. Sarsaparilla, the herb that flavors and foams root beer, has such a reputation. Prickly ash also offers an array of similar therapeutic values - a stimulating bitter, circulatory stimulant, anti-inflammatory and antirheumatic. Another herb traditionally includesd in spring tonics is cayenne or very hot peppers. I remember when my teacher Michael Moore told the class about cayenne; he said, "It makes the colon sweat." Anyone who has eaten habanjero shrimp at Tres Hombres restaurant knows what that means! Yellow dock is a gentler colon stimulant, full of tannins that tone the large intestine. We have stores that provide us with green, leafy goodness year-round; you can buy chards and kale, arugula, radicchio and even dandelion greens, as well as tinctures or dried quantities of some of these herbs. I mention this because, though it is wonderful to pick your own herbs, not everyone can positively identify them and you certainly do not want to consume the wrong ones. Even so, it is fun on walks or hikes in the mountains to try to learn the herbs. I especially like miner's lettuce, a pretty little herb that grows at the higher elevations where many Utah mining communities were established. Another note of caution: Because these herbs can be stimulating, it may not be wise to use too many of them if pregnant. They can stimulate the uterus as well as the digestive tract. So as the snow retreats and the greening of spring begins, notice what plants show themselves first and do at least taste a fresh violet flower. The Druids considered violet the herb of love and protection. Besides its distinctive sweet fragrance and immune boosting properties, the flavor is really delicious!